As Tommy Fleetwood and Ricardo Gonzalez grabbed a share the lead on 16 under par, Lowry made an eagle two and five birdies in a 67 to get to 11 under and remain on course for his first Top-10 since he was fifth in the Irish Open. If he remains tied for ninth, the Clara man is likely to move up seven places to around 77th in the world. But he’ll be aiming for even better and a top finish could see him make another significant move towards the Top-50 just in time for the start of the Ryder Cup qualifying campaign. At the top of the leaderboard, former British Amateur Championship runner up Fleetwood put himself in contention for his maiden European Tour title. Although he ran into trouble on the last, having to chip out of the trees after a wayward tee shot, the 22 year old Englishman eventually made bogey and signed for a five under par 67, with Gonzalez retaining a share of the lead following a two under par 70. 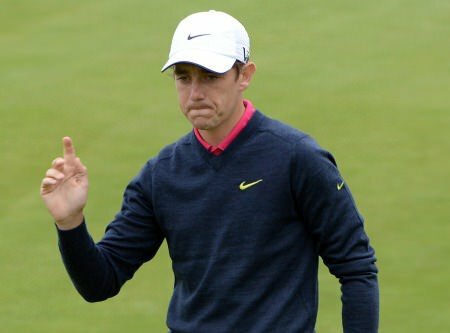 Fleetwood, the youngest European Challenge Tour No 1 in 2011 and former World Amateur No 1, struggled in his first season on the European Tour, but he has looked more comfortable this season, making 15 out of 19 cuts and recording two top ten finishes. Peter Lawrie is sporting a new look this week - facial hair. Picture Stuart Adams www.golftourimages.comHe is now relishing the chance to be in the final group on the Centenary Course that will host The 2014 Ryder Cup. “This is what you spend hours and hours practicing for,” said Fleetwood. “Getting up there in golf tournaments, and obviously on The European Tour, is what you dream about when you’re a little kid. 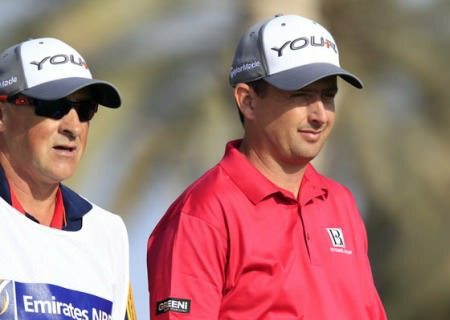 “You want to play on The European Tour, and the Johnnie Walker Championship is a massive event, and it’s always one I used to watch. Now I’m the one leading the golf tournament, and it feels very normal at the moment. Argentine Gonzalez could not quite replicate the low scoring of his first two rounds, when he produced consecutive 65s, but he recovered from a bogey on the first with birdies at the second, fourth and ninth, picking up another shot on the 16th after bogeying the 11th. Gareth Maybin strugged to hit greens but still carded a second successive 70 to share 29th place on eight under with Simon Thornton (69) and Ryder Cup skipper Paul McGinley (71) on six under. Michael Hoey shot a 70 to join McGinley and Thornton in joint 44th but Peter Lawrie ran up a double bogey seven at the last for a three over 75 that leaves him joint 64th on three under.